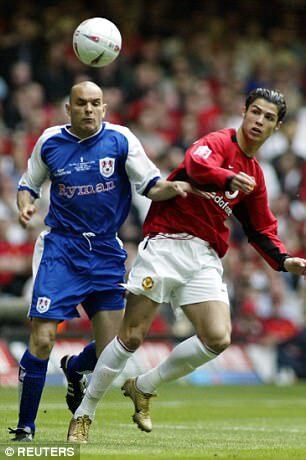 Ronaldo: a second time lucky date with Cardiff? Cardiff was not exactly where it all began for Cristiano Ronaldo but it was in terms of major finals, big goals and trophies. The FA Cup here in the principality in 2004 was club honour No 1. On Saturday night, under the closed roof of the Millennium Stadium, Ronaldo hopes the Champions League will become No 20. The world has changed much in the 13 years since Manchester United beat Millwall, Ronaldo scoring the first goal of three with a header. 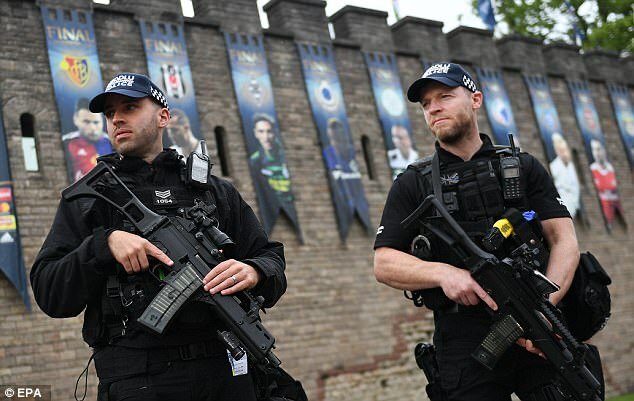 On Friday, for example, the police were lifting manhole covers in the centre of Cardiff to check for explosives. Watch footage of Ronaldo from that day, however, and much is instantly recognisable. His goal, for example, was to become classic Ronaldo, a dart off the shoulder of a startled defender followed by a powerful downward header. Then the shirt came off. His physique is better these days but we shouldn’t be surprised. His football is not the only thing he has worked on over the years. Later in the game came a ‘Rabona’ cross, one leg crossing the ball from behind the other. Had it not been for a Paul Scholes miskick from six yards, it would have led to a goal. Not much of Ronaldo extravagance has ever been merely for show. Millwall’s Robbie Ryan had to mark him that day. It was like trying to trap smoke in a jam jar. ‘I just wish he had played on the other wing,’ was Ryan’s subsequent assessment of the experience. And so to Saturday night. Ronaldo is 32 now and showing no signs of slowing. For a man who has achieved almost everything there is to achieve in the game, this meeting with Juventus offers rare opportunity for the World Player of the Year to step in to new territory. Real Madrid are defending champions, Ronaldo’s shoot-out penalty clinching victory over neighbours Atletico in Milan last year. No team has retained the trophy in the competition’s modern form. Real, meanwhile, have not won La Liga and the European Cup in the same season since 1958. So opportunity knocks for Ronaldo. As strange as it sounds, he has not always reached his levels in this fixture. In both last year’s final and the 2014 success, Ronaldo contributed the closing goal but that masked what were, by his high standards, indifferent evenings on both occasions. This time around, against Massimo Allegri’s obdurate, dangerous Juventus, Real coach Zinedine Zidane will hope his talisman produces something more consistently effective. Juventus, unlike Atletico, will not allow themselves to be emotionally suffocated by the occasion. They have already seen off Barcelona in this competition. No, this will have to be a final hard won by Madrid against a side looking to achieve something special themselves, namely an Italian treble. Appearing at their team’s pre-match press conference on Friday, Juventus goalkeeper Gianluigi Buffon and full-back Dani Alves were both asked several times about Ronaldo. It must be wearing. Juventus and Real Madrid have met 18 times in total, with each club having won eight of their matches, with the other two meetings ending in draws. Buffon described the Portuguese as a ‘sporting model’ while Alves said he wouldn’t dream of putting himself ‘on the same pedestal’. All very nice but what will concern both – and indeed Allegri – is Ronaldo’s form. Hat-tricks in the quarter final and the semi-final of the Champions League. Fourteen goals in his last nine games and a staggering 49 for club and country this season. In terms of the numbers, Ronaldo’s career has assaulted the senses for years. Juventus must only hope that they take a tactical hold of this game before it’s too late. Buffon will remember bitterly how Juve were a goal down after only four minutes against Barcelona in the 2015 final in Berlin. If that happens again here it will be a long night. The great goalkeeper, 39 now, said on Friday night that he fears boredom in life but it’s fair to say he would welcome some tranquility in the final. The possibility of great contrast is certainly one of the most intriguing aspects of this match. Juventus are capable of explosive attacking thrusts but the fact they conceded just one goal in six Champions League knock out games against Porto, Barcelona and Monaco points towards traditional Italian strengths. British interest will hope for an appearance from Gareth Bale. Expected to start on the bench behind the Spaniard Isco, it is a shame Bale’s return to his home city currently serves only as a sub-plot. In the bar he owns near the stadium they were serving ‘Bale Ale’ on Friday but for the 27-year-old this has not been a vintage season. Injuries have restricted him to just seven La Liga goals and he has not played at all since late-April. On Friday night Real defender Sergio Ramos suggested that Zidane and his players were fully aware of what stands before them. ‘We have an appointment with history,’ said Ramos. Zidane, himself a three-times Ballon D’Or winner, was asked later whether he or Ronaldo would have been the star of the Real and Juventus teams he himself played for. ‘Ronaldo, no doubt,’ he said. ‘I used to play quite well but scoring goals was not my speciality. ‘I was better at assists than big goals. ‘He scores goals and that’s most important. And he always wants more. Even in a training session he wants to win. Madrid trained late at this magnificent stadium on Friday night. As always, Ronaldo was front and central. Thirteen years ago here he wore gold boots against Millwall at the age of 19. It looked premature and one wonders what team-mates Scholes and Roy Keane thought. They both wore black. 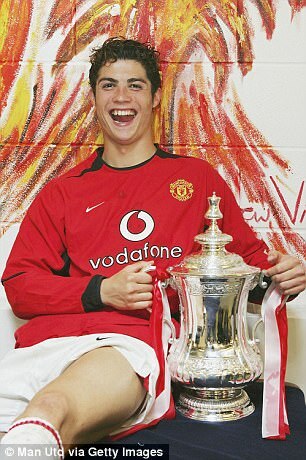 That Cup Final goal, interestingly, was only Ronaldo’s sixth of his debut United season. It turns out that he was just warming up.